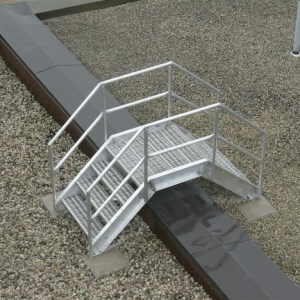 When walking across a rooftop, there are often obstructions along pathway areas, which can be hazardous to move across. 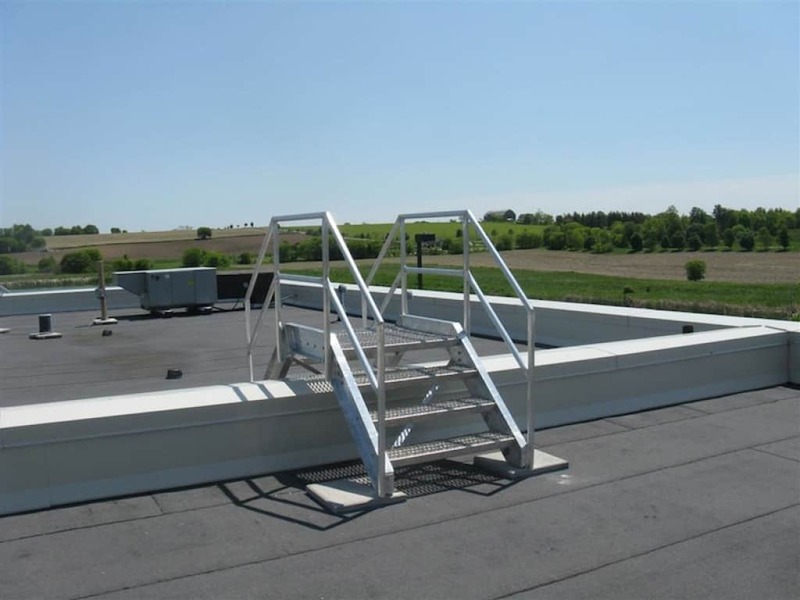 This includes utilities on rooftops such as pipes, electrical cables, or cable trays, and gas service pipes. 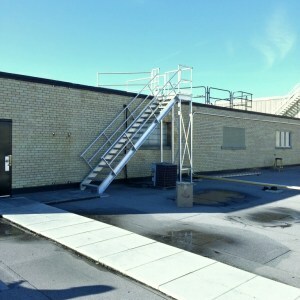 Another obstruction or area that can be tricky to traverse are parapets between two different height rooftops. 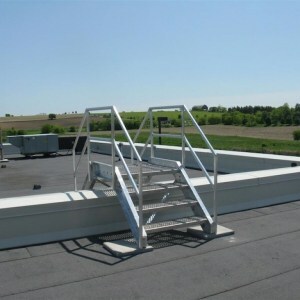 A parapet that’s 24” high by 16” wide, for example, often would be covered with metal flashing, and can become extremely slippery in wet or cold conditions. 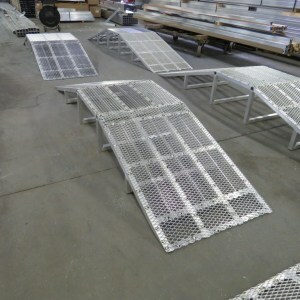 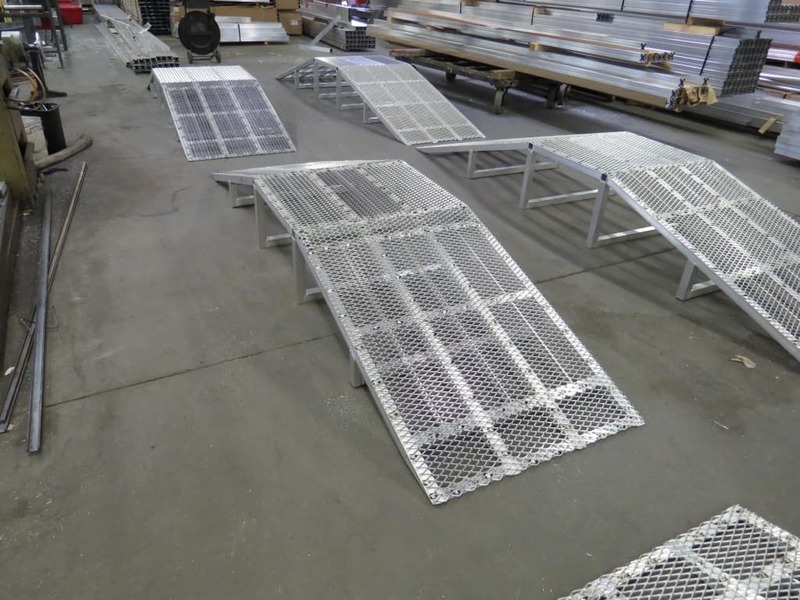 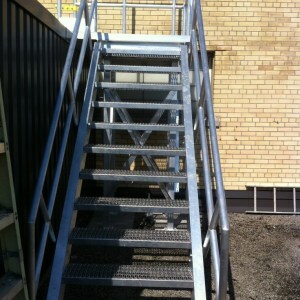 Our crossover ramps and other crossovers are fabricated to suit each customer’s unique application and requirements. 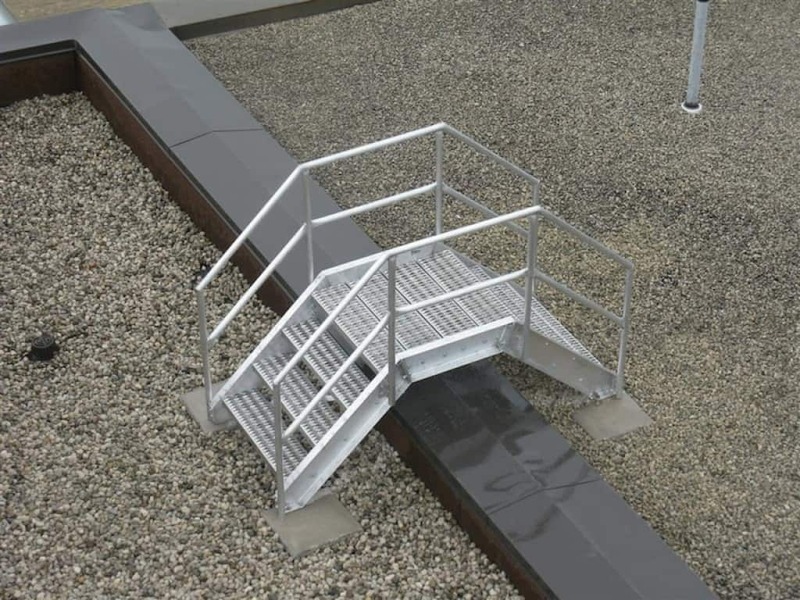 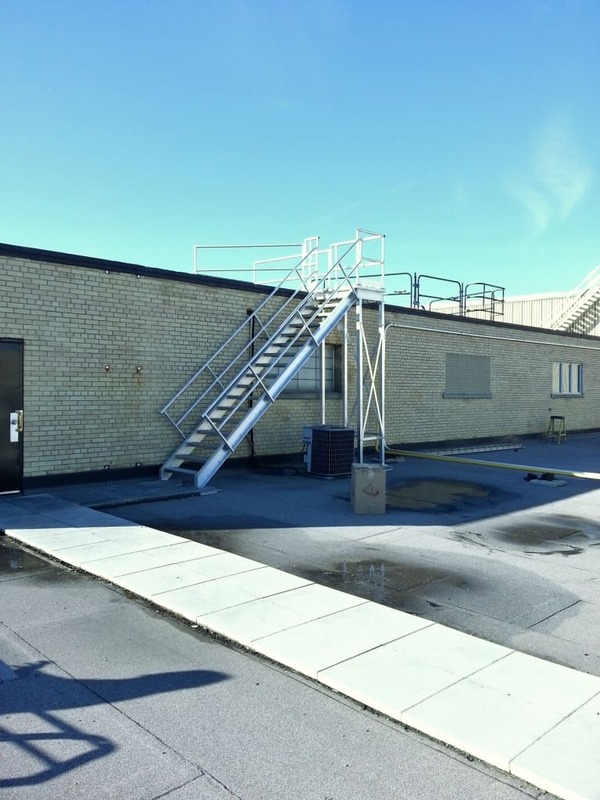 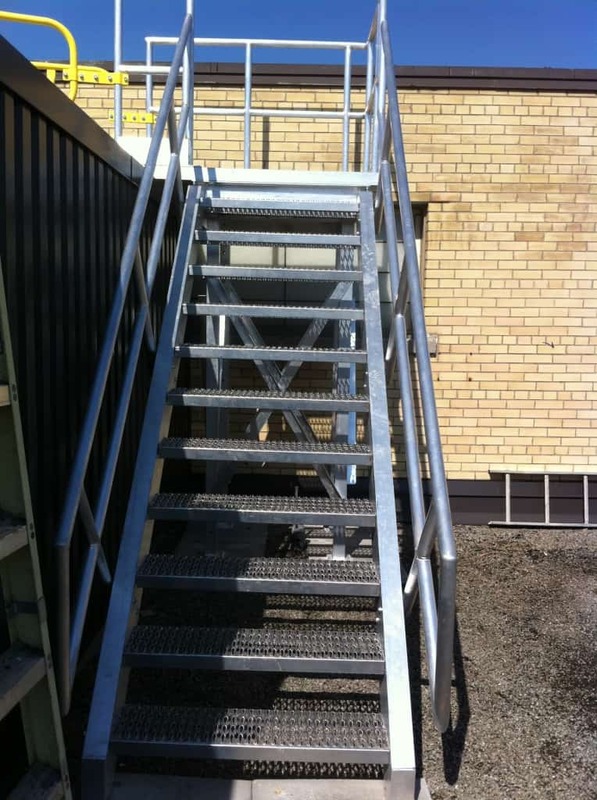 They are lightweight and often fabricated as aluminum roof walkway systems, with galvanized non-slip grating, and regulation height and strength handrails. 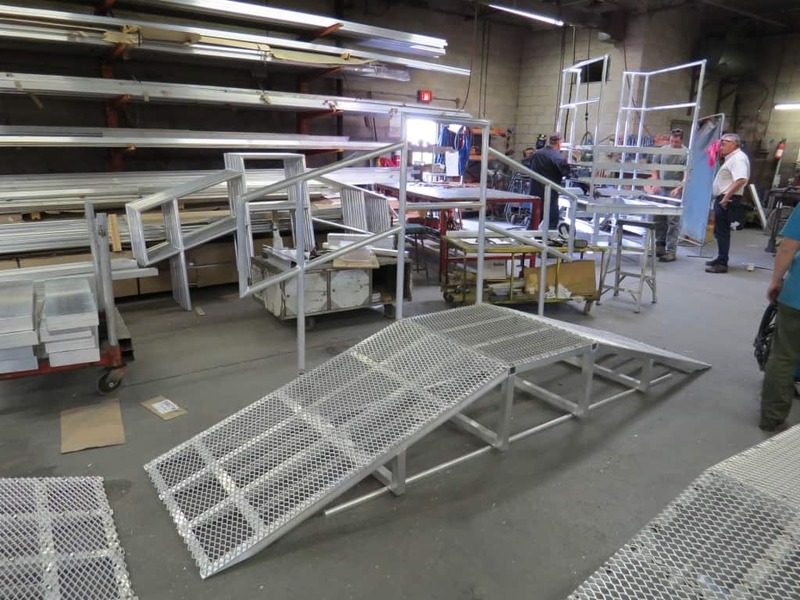 For rooftops where materials are often transported across large areas, over obstructions, we also offer ramp systems, so carts or dollies can be used across the bridges. 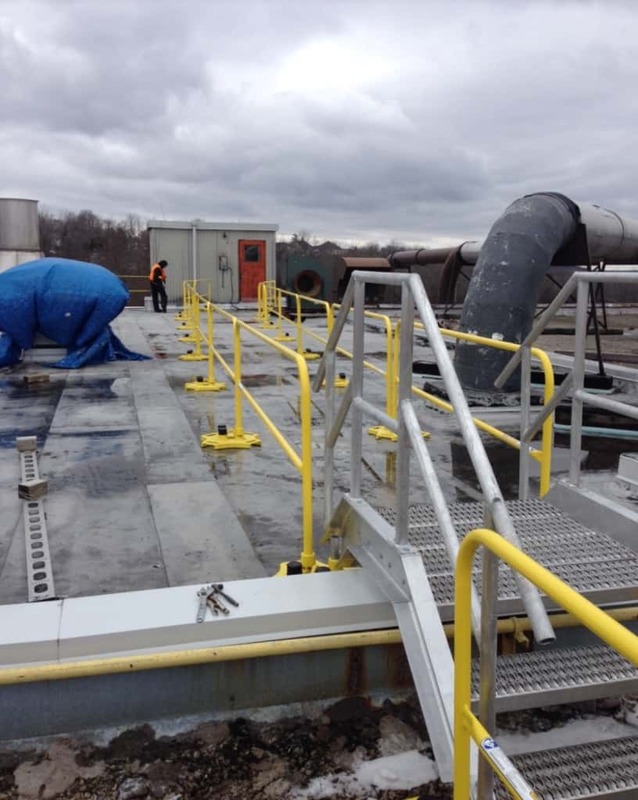 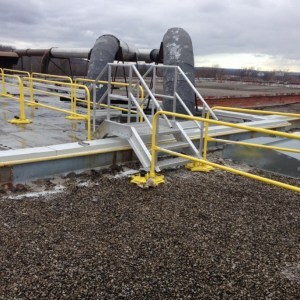 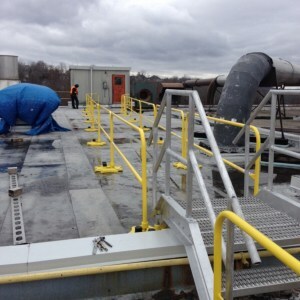 Recently customers have begun addressing roof top hazards from an access and ergonomic perspective. 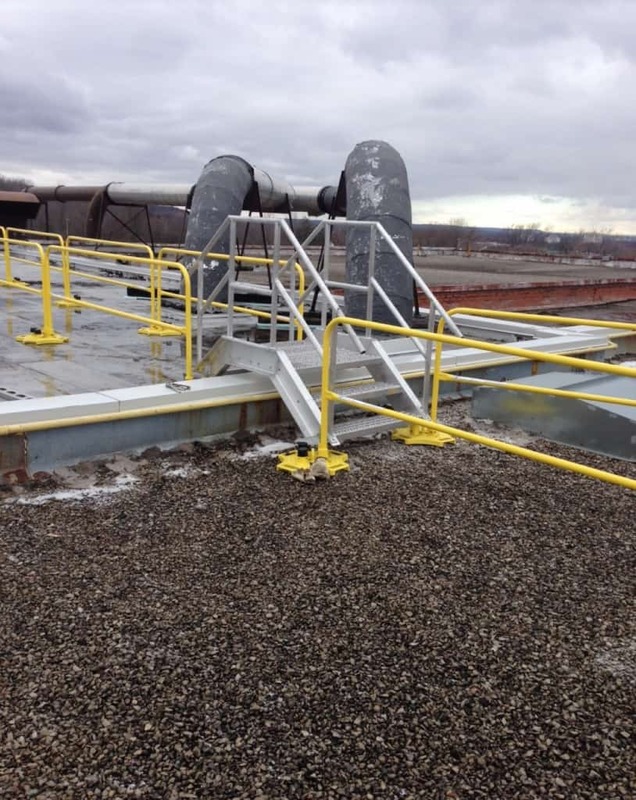 Slipping hazards, fall hazards, rooftop elevation changes and material handling can be addressed by having a non slip crossover installed. 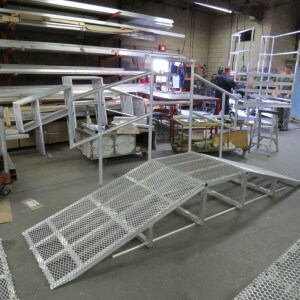 Basic information in terms of dimensions and a sketch is usually all that’s required to generate a drawing for production.